The word scleroderma literally means “hardening of the skin”. 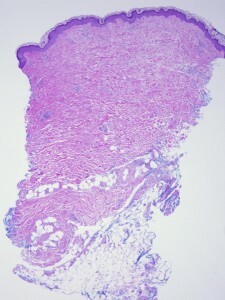 Also known as SCL, this chronic connective tissue disorder is classified as a rheumatic autoimmune disease. This hardening of the skin results in overproduction of collagen within the body. 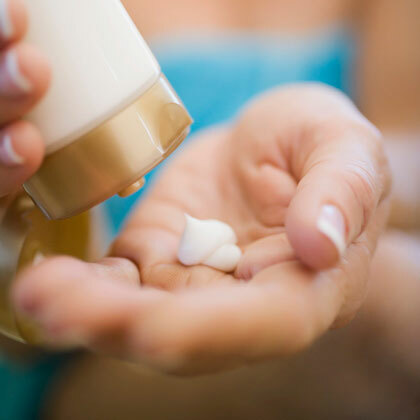 Localized scleroderma only affects the skin while systemic scleroderma affects the skin, blood vessels, and internal organs such as your heart and lungs. The exact cause of systemic scleroderma is unknown, but certain factors may increase your risk. Exposure to silica dust and certain industrial solvents. Undergoing a certain form of chemotherapy (bleomycin). African Americans and certain groups of Native Americans are more prone to scleroderma. There is no cure for scleroderma, but there are things you can do to help manage your condition. 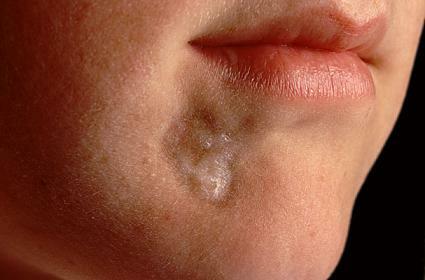 A common type of localized SCL is known as morphea. Morphea is marked by oval shaped thickened patches of skin that are white in the center with a purple border. Linear SCL, another localized type of scleroderma, is marked by bands or streaks of hardened skin on the arms, legs or forehead. For more information on this condition, please read Scleroderma: What you Need To Know. People suffering from systematic scleroderma will tend to have symptoms which vary in comparison. There is little scientific evidence to support the use of alternative medicine and natural remedies as a use of treatment of scleroderma actually work, although the following are useful for sufferers looking to manage the condition. Latest research indicates that SCL patients have a vitamin D insufficiency and deficiency. Common vitamin D supplements do not appear to correct the deficiency in SCL patients however. A higher dose is most likely needed for such individuals. Topical application of vitamin E gel may reduce healing time and sooth pain in people with digital ulcers, a common cause by systemic SCL. Past research also seems to suggest that vitamin E may have antifibrotic action and may even possibly help to curb excess tissue buildup. If you would like to learn more about why you should choose alternative treatments, please read Prescription Drugs Kill. There are a few things you can do to help manage the symptoms better. Exercise keeps your body flexible, relieves stiffness and improves circulation. Look into range-of-motion exercises as they can help to keep your skin and joints flexible. Nicotine found in cigarettes causes the blood vessels to contract. This makes Raynaud’s phenomenon a lot worse. 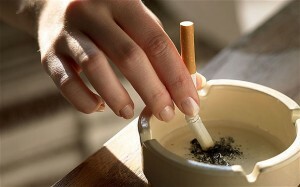 Smoking is also known to cause permanent narrowing of the blood vessels. Quitting cigarettes is the best thing you can do if you suffer from SCL. Avoid foods that give you heartburn or gas. Elevate the head when you sleep to keep stomach acid from backing up into your reflux (esophagus). When you’re outside in the cold, cover your face and head and wear layers of warm clothing. Wear warm mittens for protection anytime your hands are exposed to cold. Meditation and relaxation techniques can help you cope with the frustrations of SCL as well as help relieve pain and fatigue associated with it. For more information on alternative treatment options, please read Healing Your Body With Gerson Therapy.